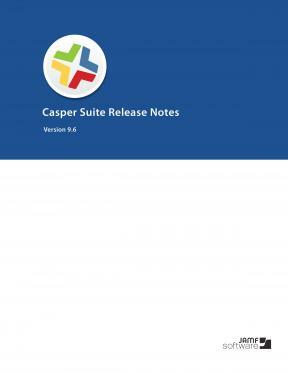 Support for OS X Yosemite (v10.10)—The Casper Suite now includes support for OS X v10.10. Additions to OS X configuration profiles—New payloads and settings have been added to OS X configuration profiles. This includes but is not limited to: AirPlay payload, Xsan payload, and additional settings in the Passcode, Restrictions, and AD Certificate payloads. Mac App Store apps—Mac App Store apps purchased through Apple’s Volume Purchase Program (VPP) and assigned to users via VPP-managed distribution can now be installed automatically on computers with OS X v10.9 or later. Device Enrollment Program—When the JSS is integrated with the Apple’s Device Enrollment Program, computers with OS X v10.10 can be managed automatically when added to the JSS using a PreStage enrollment. Learn about new offers in 9.6 such as support for OS X v10.10, new payloads and settings for OS X configuration profiles, and more.